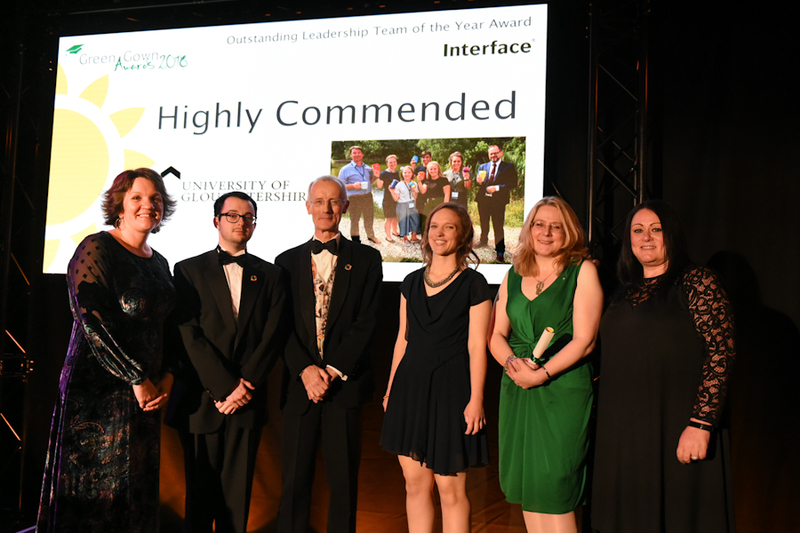 We’re really pleased to share news that the University was Highly Commended (runner up) for Outstanding Leadership Team of the Year at the Green Gown Awards 2018. The shortlisted finalists each had to make a team presentation on the night, to showcase the way that sustainability development is lead across all parts of their University community. The Vice Chancellor, Psychology student Andi Ward and Clair Greenaway from Events Management joined Alex Ryan and Miriam Webb from Sustainability, to explain how the University has protected its leading profile and high level performance over more than 10 years, despite the increasing competition from institutions across the sector. The University was also shortlisted as a Finalist for its new Annual Sustainability Report this year, which shares the excellent results and contributions from staff, students, partners and suppliers, capturing our support for sustainability and action on the UN Sustainable Development Goals. Congratulations and warm thanks to everyone who has played their part in these great stories and helped to earn the Highly Commended award – there are far too many of you to name!